The Allied Telesis OSP Series delivers flexible, full-duplex Ethernet connectivity. 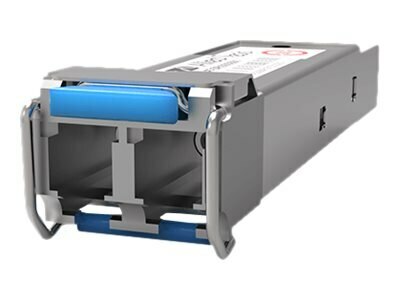 These hot-swappable fiber interfaces simply plug into the SFP slot on all standards-based/MSA SFP-compatible devices. The Allied Telesis industry-standard OSP Series SFPs connect switches, media converters and adapters to the network. These hot-swappable input/output devices simply plug into SFP ports. The OSP Series allows a network manager to easily extend the network.